In association with Concerts SA, bassist, composer and 2017 Standard Bank Young Artist for Jazz, Benjamin Jephta, will be taking the road with the support of Concerts SA in anticipation of the release of his sophomore album, The Evolution of an Undefined. 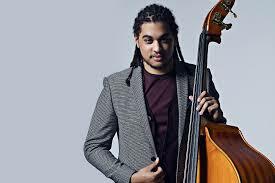 Jephta has already become one of the premiere double and electric bass players in South Africa. His debut album, Homecoming has received many accolades including a SAMA and Metro Award nomination and award for ‘Best Male Artist’ and ‘Song of the Year’ at the Wawela Awards in 2016. With this new offering , Benjamin fuses his love for jazz with hip hop, electronic and rock music, reflecting the influence of popular culture on young people in the 21st century. Benjamin Jephta Elektrik Tour is supported by Concerts SA through the Music Mobility Fund, a funding mechanism which offers opportunities for South African musicians to undertake live music tours. Additional support has been provided by Real Wired Music.